With the completion of the previous Job One Part Four, Step 4b Getting Prepared also has to come a rather harsh dose of reality. Unfortunately, we cannot resolve climate destabilization just by our personal best direct actions to reduce our carbon and methane use alone. Step d) Continue working towards creating the new Sustainable Prosperity for all as part of the long-term solution to climate destabilization. Divest out of all of your personal investments in the fossil fuel industry then do everything within your zone of influence to convince others to do the same. Convince other individuals, businesses, pension funds, endowments and national governments to also divest out of all of their investments in the dying fossil fuel industry as soon as possible. Why? 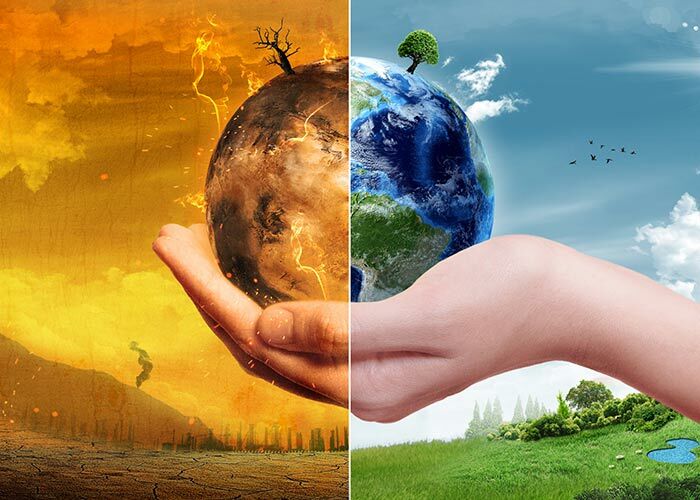 In the previous and following sections of the Job One Plan you are being informed about needed evolutionary adaptations in your local life to deal with the realities of climate destabilization. Once one better understands all of the local and global adaptations that will be required of us as individuals, businesses, communities, and nations, the task then becomes how to accommodate these adaptive improvements into our lives. If left unresolved, what is coming with increasing climate destabilization is so bad that you will not be able to survive this alone very well. To survive escalating catastrophic climate destabilization better (or even at all) either physically or psychologically, become part of or create a Job One support community of like-minded individuals who will come to your aid, support, and have your back as things worsen before they hopefully get better.